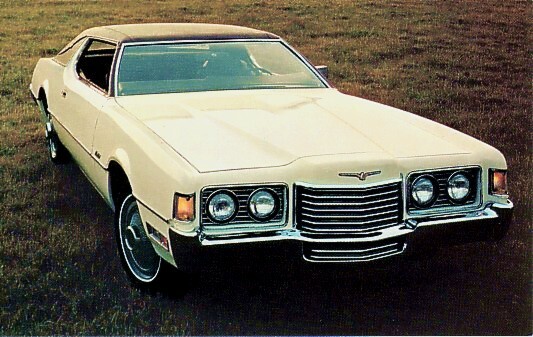 The 1972 Ford Thunderbird bowed on September 24, 1971. Thunderbird was born at a difficult time; it arrived as most other North American automakers were abandoning the sports car field. 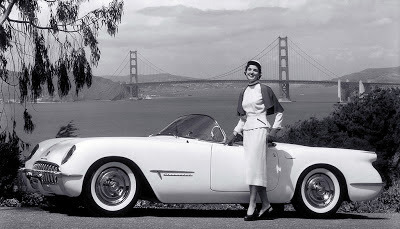 Officials at the Chevrolet Division were about to pull the plug on its fiberglass sports car in 1955; the Corvette had been a great disappointment. The competition wasn’t doing so well, either. 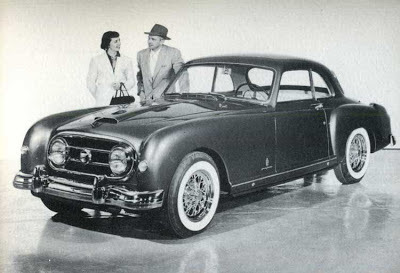 Nash-Healey with body by Pinin Farina was stunning. 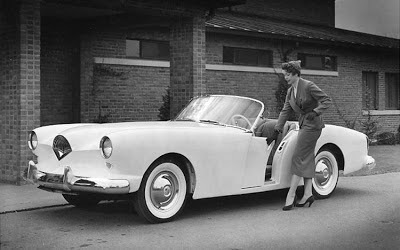 Although a few Nash-Healey cars were left over from 1954, reserialed and sold as 1955 models, Nash had already cancelled the classy but pricey Anglo-Italian-American hybrid. Rumours were that despite the car's $6,000 price tag, Nash lost another $6,000 on each one sold. 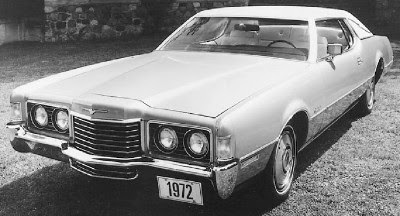 The Kaiser Darrin wore a 'sweetheart kiss' grille on a fibreglass body. Kaiser-Frazer’s death rattle could be heard despite its sassy Darrin. K-F would abandon North America completely and move to Brazil at the end of the 1955 season. Competition or not, Ford bravely introduced the Thunderbird in 1955. 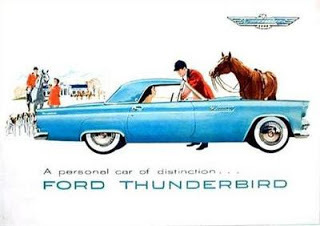 The folks at Ford must have tasted Baby Bear’s porridge because they got the sassy two-seater T-Bird “just right.” Consumers wanted them as much as they wanted a suntan in July. Thunderbird was an instant hit. The sixth—count ‘em—sixth generation of Thunderbirds bowed for the 1972 model season. These were really big Birds—the biggest ever in the marque’s history. 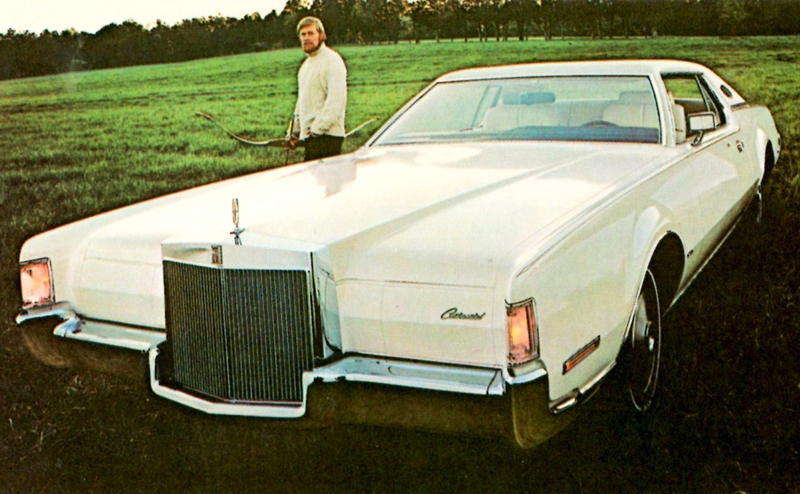 By order of Ford's president, Lee Iacocca, the prestigious personal luxury car now shared chassis and a good deal of sheet metal with the Lincoln Mark IV. 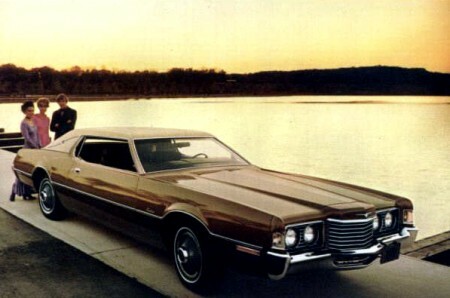 The 1972 Lincoln Mark IV shared its prestige with Ford's Thunderbird. The massive two-door T-Bird hardtop topped the scales at 2 002 kilos (4,414 pounds). French Canadians affectionately called their T-Birds "tonne de beurre" (tonne of butter). All this heft wasn’t going to sit nicely on a unitized body. Engineers abandoned unit-body construction and opted for the traditional frame-on-chassis format. The Thunderbird envelope was elegant and understated with the classic long hood and short rear deck configuration, punctuated with a sweet Coke-bottle swell in the rear quarters. The sculpted hood was raised to emphasize a 1930s radiator look, crowned with a large but tasteful Thunderbird insignia. The narrow grille consisted of heavy, horizontally positioned chrome bars, a theme discretely repeated in the headlight bezels. The elongated radiator-like grille look continued downward, peeking out of the bottom side of an open bumper. The leading edge of the fender was kissed with wrap-around turn signals. Ever so Lincolnesque in looks, the sides carried gently curved slabs of sheetmetal with subtle swells over the wheel wells to emphasize the openings. A chrome and colour-keyed rub rail ran the length of the car at bumper height. Side markers punctuated the scheme. Wheel covers were colour-coordinated to match body paint. At the rear, Thunderbird was absolutely unmistakable with a vast bumper, upturned at the centre for the license plate, and then emphasized with a single, majestic taillight panel stretching completely across the car’s backside. A large thunderbird crest floated at the centre of the red sea that made up the vast taillight panel. The only model available was the two-door, five-passenger hardtop and was sourced from Ford factories in Wixham, Michigan and Los Angeles, California. At the very heart of the Thunderbird beat the 7-litre (429-cubic inch) four-barrel V-8 engine. 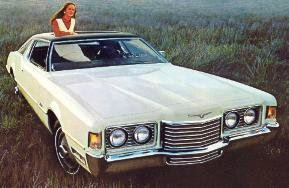 It generated an impressive 212 horsepower and was mated to Ford’s Cruise-O-Matic shelf shifting transmission. Fuel consumption was only 23.5 litres per 100 kilometres (10 miles to the US gallon) but gasoline was cheap and plentiful at introduction time. To more finely feather the Bird, a 7.5-litre (460-cubic inch) mill was available at extra cost. 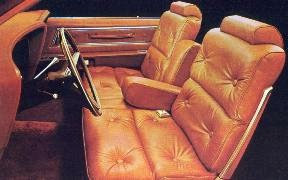 The instrument panel was of faux wood, boasting large, twin, deeply recessed circular dials for clock and speedometer. Between them nestled a smaller, circular gas gauge. Grouped around the trio of gauges were rectangular controls and idiot lights, all housed in a thickly padded, rectangular console. Interiors were simply sumptuous. Dripping with every appointment possible, all were couched in the finest of upholstery. This year’s choice was Lamont Cloth or genuine leather, both available in seven tasteful colours and 17 differing configurations. Front passengers were treated to individual seats replete with fold-down armrests. From the Ford palette one could choose 23 colours: Light Blue, Pastel Lime, Black, Light Grey Metallic, White, Dark Green Metallic, Medium Green Metallic, Dark Blue Metallic, Maroon, Dark Brown Metallic, Yellow, Light Yellow Gold, Grey Gold Metallic, Medium Blue Metallic, Green Gold Metallic. Ford also offered a Glamour Paint option, one in which the following colours were hand rubbed to perfection: Blue Fire, Green Fire, Walnut Fire, Copper Fire Gold fire, Lime Fire, Cinnamon Fire and Burgundy Fire. This T-bird wears the silver-tooled landau iron on the C-panel. Optional vinyl roofing, in an alligator grain look, topped things off in one’s choice of Black, White, Dark Blue, Dark Green or Dark Brown. To further accent the roofing, the decorative and graceful silver-tooled landau iron was then affixed to the C-pillar. That landau was also available on Birds that did not carry the vinyl roof. Every Thunderbird was shod with a set of 215xR15 Michelin X Radial black wall tires, guaranteed for 64 000 kilometres (40,000 miles) of road life. The super tires were new this year. Each was mounted on a Ford True Centre wheel, fitted to a precision-mounted hub. Options included the SelectAire air conditioning, tinted glass electric window defroster, tilt wheel, sunroof, Traction-Lok differential, deluxe seat belts with a warning light, bumper guards all around, rocker panel mouldings, door lock group, six-way power seats for driver and/or the passenger. Dual accent striping, power antenna, power windows, power trunk release, high bucket seats, reclining passenger seat, dual speakers, AM/FM stereo radio with or without tape system and intermittent wipers to name but a few. The Convenience Group option included a door ajar light and buzzer, overhead map lights, an engine compartment light. One could buy a Heavy-duty Trailer Towing package for travelling with one’s home on wheels or a Turnpike package that included fingertip speed control, a manually reclining passenger seat, an odometer and whitewall Michelin tires. The restyle paid off handsomely. Production of new Thunderbirds in model year 1972 reached 57,800 units for the world market. That was up substantially from the 46,055 units delivered in 1971, a figure that looked sad next to the 50,364 units built in 1970. 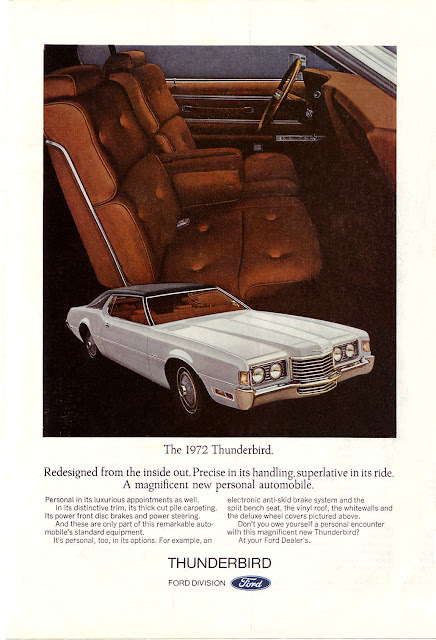 Crystal ball gazing would reveal that Thunderbird was on a good luck streak; workers would build 87,269 Birds during the 1973 model year.